TNP Accessorieshas built their position and reputation as one of Europe’s most trusted, leading specialist retailers for home fitness equipment such as, Barbell Sets, Multi Gym, Yoga Accessories, Dumbbell Sets, Boxing Equipment and many more. The reason behind its admirable reputation is that TNP provides the equipment which is perfectly fit for you, and have the capability to offer a wide range of high quality products with an affordable competitive price in the market. Olympic Sets Power lifting requires use of heavy bars which adjusts easily when heavier weights are being used in the exercises like squats and dead lift. 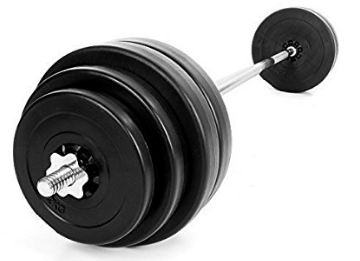 These bars can be larger in length due to the fact to add more plates comparatively thicker because most of the bars deform when heavier Weight Sets Review is used, except of dead lift in which only bars which are longer, thinner and flexible are used. 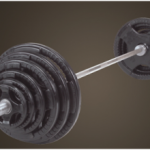 The weight set by TNP Accessories are rubber coated weight plates which have the advantage and ability to absorb noise and that gives the user a free hand on dropping the bar. The same benefit of absorbing noise is in Standard Vinyl Weight Plate which features a hard plastic surface. Both are comparatively safer but dropping a cast iron weight on your foot have more chances on getting severe injury than the rubber coated one, so it is highly recommended to use Rubber encased weight plates. The TNP accessories barbell set is a complete workout set which will help you started lifting weighteffectively and immediately. With an EZ curl design bar you’ll be provided with a variety of weights supplied too, along with them there will be two solid spinlock collars. 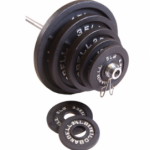 The set is very budget friendly and allows you to change the motion and intensity of your training by adjusting the weights around quickly and easily, while also providing you a chance of purchasing additional weights for your set. 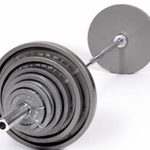 Many people use barbell in weight training to build proper chest, biceps, back and shoulder. The reason is due to the fact that barbell provides a good momentum in any of these exercises, keeping your wrist straight and give a good form. The range of plate is important in weight set as you have to adjust after each set to make you work out a bit challenging. The weight plates provided by TNP Accessories are four pieces of 10kg plates, two pieces of 2.5kg plates, two pieces of 5kg plates along with two collar and one bar which is in three pieces at the time of packaging though making you assemble them afterwards. 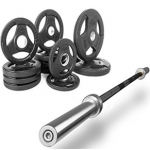 The material used in the manufacturing of barbell is a high quality solid chrome which is 168mm long. 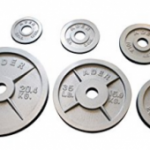 Therefore, the Weight Sets Reviews plates are covered in plastic to give them a less bounce off effect and hence making the gym or house flooring safe. There is a certain problem of twisting off the collars as it needs proper oiling or greasing to keep them on the run. The bar is very easy to dismantle and store in one place without properly showing them but the dismantling process is not recommended every time because it may lose the bolts. In terms of value for money, this set is one of the most affordable set present in the market, the whole package is coming at the exact same price then of some barbells alone. The spinlock collar grips make sure that weights are held in place firmly and doesn’t clang and wobble while lifting. 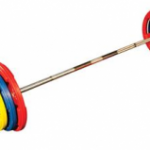 They also offer a quick release which can be helpful in high intensities work outs. With the help of EZ curl design your forearms, wrist and elbows will be in a proper, comfortable position hence providing less chance of basic injuries that can be repeated continuously while lifting. Therefore, the set offers fitness lovers a great combination of lower weight which are ideal for the use of Beginners in home or garage. Barbell are made up of solid chrome finish having very high quality which is 1680mm long. Barbell comes in three pieces which needs to assembled afterwards. Strong spring lock collars are provided which can quickly assemble the weight plates without any clanging. When I first ordered these weight plates by TNP Accessories, there was no plug in one of my 10kg plate. These weights are plastic filled with concrete or sand. They consist of plug holes from where they are filled up with plastic material and afterwards are securely tightened. Though one of the weights in my packages wasn’t really re tightened so all the concrete leaked out in my box hence creating a lot of mess. However, I reported and contacted the seller that I faced such issue and within three working days he sent me a new weight tightened one, by which I was extremely pleased. As being a beginner weight lifter I think weight set by TNP Accessories are quite great because of their precise weight increment of just 2.5kg provides you more focus and motion in muscle building exercises. I faced this issue after using the weight sets for some time that, spin lock collar can be a bit frustrating to take them on and off. But as its price, it’s okay to have such minor issues. The bar and weight looks very sturdy and are very strong and the locks are also in a good quality having a cheap price. Keeping aside the issue of starting set and the fact slowing down of workout by spin lock collars, the weight set by TNP Accessories are highly recommended for any beginner. Its price, its quality, its Weight Sets Reviews 2017 all are phenomenal and have the ability to surpass any weight set available in the market that are specifically designed only for beginners. Overall my verdict and the reviews of users on internet are very positive. While also working with the bench, it’s an ideal set for beginners. The barbell is very solid and quite easy to assemble. It can even have more additional weights then the weights which are provided with the package.Hence, big things short, great value of money! Budget Friendly as compared to expensive weight sets available in the bar. Offers a good range of weight which is suitable for beginners mostly but for experts they can pretty useful too during warm up sets. Durable because of high quality material Rubber used in constructing them, which gives a low bounce with less impact noise. Weight increment of 2.5kg provides more focus on an exercise and gives you the tendency to increase weight step after step. The quick releasing collars is pretty useful during the high intensity workouts because it require quick changing of weight plates. Collars gets stuck and needs oiling at times. Weight plates are boxed in a very a low quality packaging which can’t bare the weight of the plates. Weights are not perfectly filled with concrete which can give a chance of leaking inside the shipping box.